The Ranch Centre is a great place to host your function. The upper level boasts 1500 ft2, hardwood flooring, a full kitchen, and wrap-around deck with a beautiful view of the park and mountains. 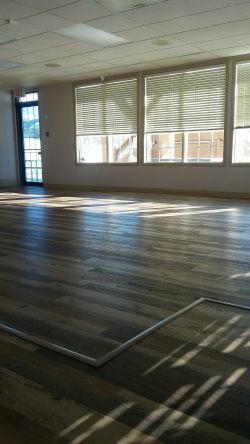 The lower level provides an intimate space for smaller functions, is child proofed, and can be rented in conjunction with the upper level to maximize space. The Upper Hall accommodates up to 72 people. The Lower Hall accommodates up to 24 people. Upholstered chairs, round, and rectangular tables are included. Use of the Park or the Games is not included in the rental and cannot be rented for any fee. 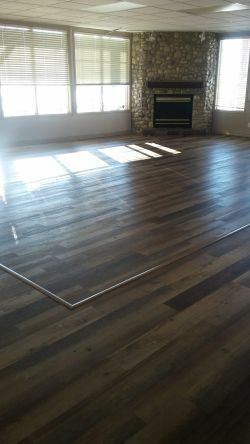 Lower level may not be rented during Games Room hours. Please note there is no Wi-Fi. A commercial sized BBQ is available to those renting the hall. BBQ rental is a flat fee of $25 plus GST. Propane included. All Rentals pay a $500 damage deposit. The hall must be rented for a minimum of three hours. All rentals that extend past 10:00pm are subject to an additional $55.00 security fee. All day rental packages are available. 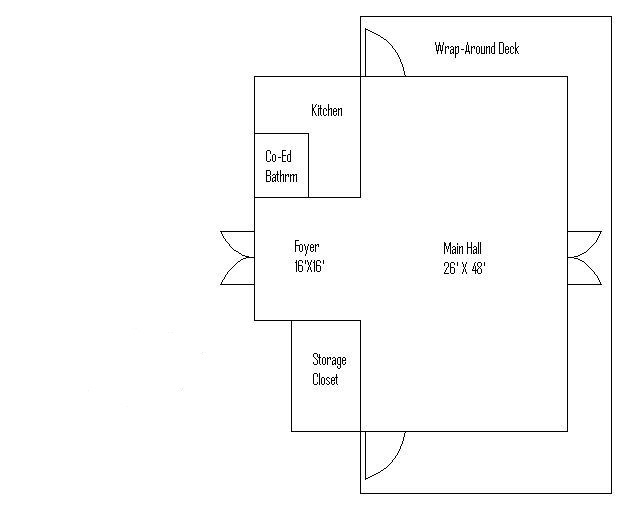 Click here to view hall diagram.